Australia visa for graduate students: Start your career here. work visa for you to live and work in Australia upon completion of your course. • Post-study Work stream which is valid for either two or four years, depending on the qualification completed. • Complete a professional year to be able to score additional points in a skilled application. • You must provide evidence that you have at least competent English, which is an IELTS (or equivalent) testresult with at least 6 in each band. • You must have acceptable health insurance in Australia and meet Australian health and character requirements. • Each degree, diploma or trade qualification used to meet the Australian study requirement is closely related to your nominated skilled occupation. A two-year visa can be granted for a Bachelor or Master’sdegree and a four-year visa for a PhD degree. • Your first student visa to Austratlia was lodged on or after 5 November 2011. • Study resulting in a diploma level qualification or trade qualification will not be considered. • You hold an eligible qualification, which was conferred or awarded by an Australian university or non-university education provider that is registered on the Commonwealth Register of Courses and Institutions for Overseas Students (CRICOS), and that provider offers courses at degree level and above. • Degree- level courses packaged with a Graduate Certificate or Graduate Diploma course may be considered, provided they otherwise meet the Australian study requirement. 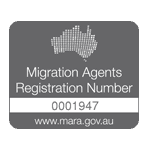 A 485 visa holder may be able to apply for further stay in Australia, via Employer Sponsorship or Skilled Migration.